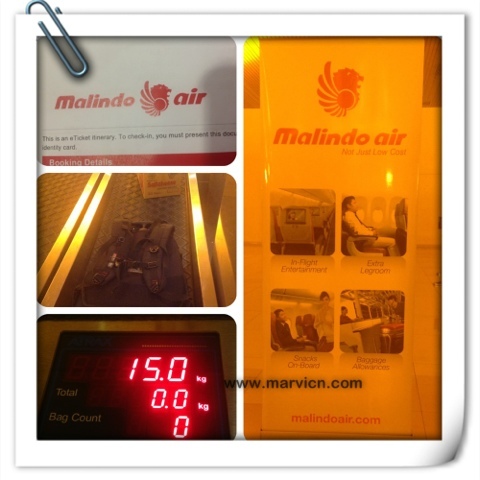 Malindo Air is another low cost airlines that have just recently launched in Malaysia. Me as one frequent flyer definitely looking forward to fly with them since they are offering such great services with competitive air fare along with Malaysia Airlines and AirAsia. They are also offering free checked in baggage up to 15 kg for economy class and 30 kg for business class. Not to mention that they also using the skybridge and arrival will be at KLIA (my flight is from KCH to KUL) .. such a premium services within low air fare. Much better than the Red.. hahaha.. So tonight, I am flying with them and since I checked in..their ground crew is helpful and friendly too. So thumbs up to Malindo Air. They should maintain their good services and improve more for better future in this aviation industry. p/s: This Malindo Air didnt pay me a cent for this write up but I just like to share my experience flying with them.. Will update more on their in-flight service soon..